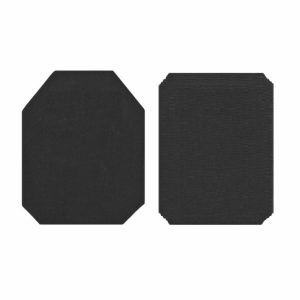 This Level III++ Stand Alone ballistic plate offers protection against High Velocity Rifle rounds. NIJ Certified 0101.06 and (RST) Rifle Special Threat Validated. Constructed of Ceramic strike face, with exterior of durable 1000D Cordura® textured nylon. Thinness is 1.15”. Warranty of 5 years on ballistic material with 1 year on exterior cover material and workmanship.